One of the things I love about my Keurig is that, with a little creativity, it does so much more than just brew a cup of joe. Admittedly, I can’t get that creative with my coffee on my own BUT Keurig does. They offer up some great free recipe guides on the website and its not hard to get creative from there. Easily some of my favorite recipes to find are Iced Lattes, perfect for your summer caffiene fix. 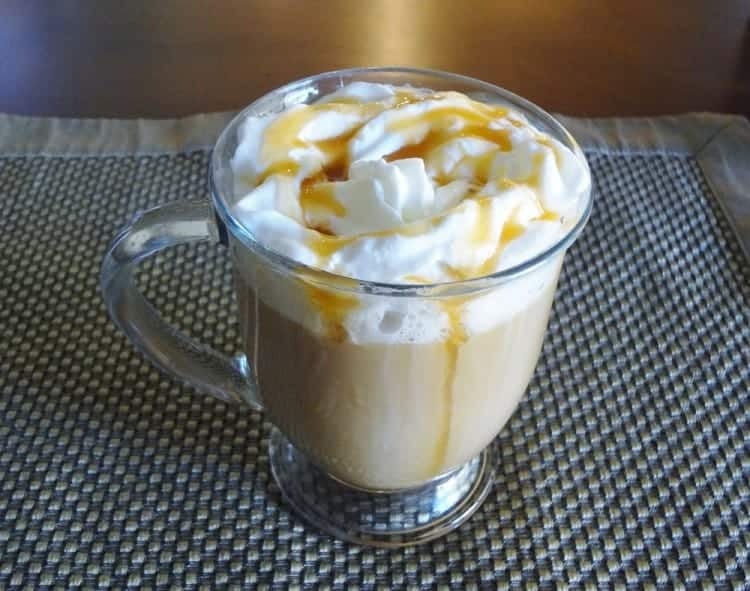 When I first got my Keurig I printed out a PDF from Keurig with three Easy Iced Latte Recipes. I can’t find the PDF online anymore so I wanted to share the recipes with you. Like I said, they’re easy and can be altered to taste. Swirl chocolate syrup along the sides of a large coffee cup. If that isn’t enough sweetener add a tsp of sugar. Fill 3/4 full with ice. Top with whipped cream and another drizzle of chocolate! Swirl caramel syrup along the sides of a large coffee cup. Add some more caramel syrup to the bottom. Choose your favorite K Cup and Brew to fill half of the cup. If needed, add a tsp of sugar. Top with whipped cream and a sprinkling of sugar ontop! Swirl Chocolate and Caramel Syrup inside the walls of a large coffee cup. Squirt both syrups into the bottom. Fill cup 3/4 with ice. Add a tsp of sugar if needed. Add 1oz Half and Half, then stir to mix all ingredients. Top with whipped topping and syrup. Last but not least, our Caramel Vanilla Coffee Recipe can easily be adapted as an iced drink. All of these recipes call for your Favorite K-Cup and it has me wondering. What is your favorite K Cup? Personally, I don’t have a favorite brand but I prefer anything with a smooth taste. Let us know yours in the comments below, maybe we will find a new gem! While your at it, check out the playing field in The Coffee Cup! Only one K-Cup will be crowned as “the chosen one”—World Cup style. You have until Monday to vote! Who will come out on top, and who will be forced to live in infamy? This is a sponsored post, but all opinions remain my own! Iced Mocha Caramel Latte !! defiantly best of both worlds. What a great idea ! I can not believe I have had my keurig brewer for 2 months and have not tried this out yet. On it now thanks so much for the tips! I believe i have missed the contest Though.